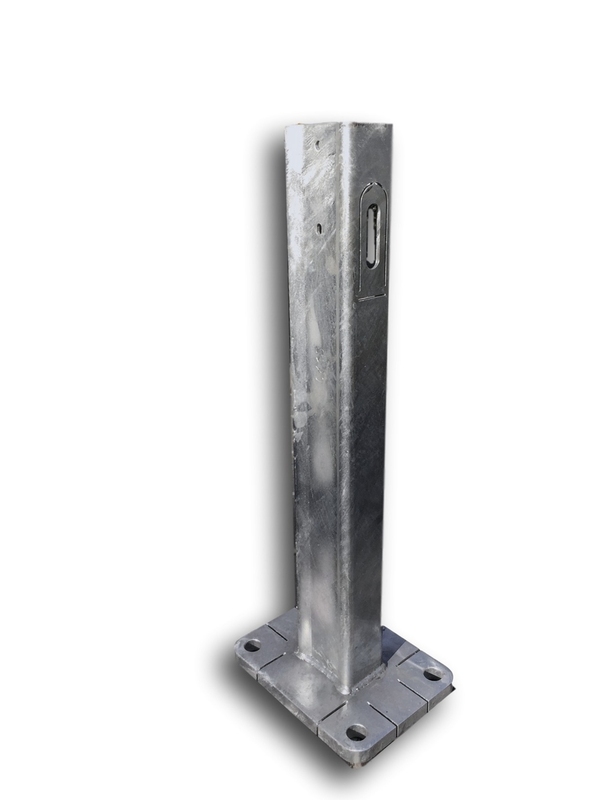 The bending behaviour of the RAMSHIELD® post has been engineered for installation on a base plate. The post on base plate design replicates the yielding behaviour of an in-ground post. The RAMSHIELD® base plate incorporates cuts into the plate that provide tear lines in the plate itself that are designed to activate when a vehicle directly impacts with the post. This design feature more closely mimics the behaviour of an in-ground post and reduces potential for a colliding vehicle to snag on the post. 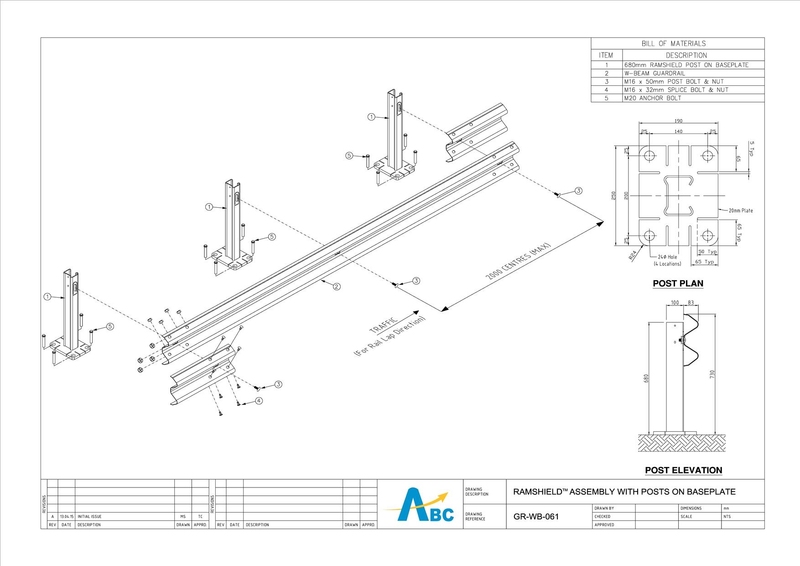 This yielding behaviour is also an important design consideration for asset owners as the bending of the post combined with deformation of the base plate reduces the pull-out forces on the anchor bolts and prevents damage to the concrete substrate.